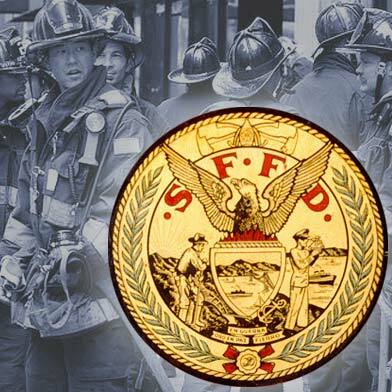 10:01 AM:A firefighter was taken to a hospital to be treated for smoke inhalation after battling a blaze in San Francisco’s Lower Haight neighborhood early this morning, a fire department spokeswoman said. The one-alarm fire was reported at 6:28 a.m. in the 300 block of Haight Street, fire spokeswoman Mindy Talmadge said. The fire was contained by 7:30 a.m., Talmadge said. Another person suffered minor injuries in the fire but declined transport to the hospital, she said. At least five residents were displaced, Talmadge said. The cause of the fire remains under investigation. 6:48 AM: Firefighters are working on putting out a one-alarm blaze at a structure in San Francisco’s Lower Haight neighborhood this morning, a fire dispatcher said. Crews responded to a report of a fire in the 300 block of Haight Street, near Webter Street, just before 6:30 a.m., the dispatcher said. As of 6:40 a.m., crews were still at the scene, battling the blaze.